If you are a wilderness geek like me, you might know that today, April 21st is the 179th birthday of John Muir. If you didn’t know, let me tell you why he may have been considered (in my eyes) one of the most important men on Planet Earth. John Muir was a Scottish-American naturalist, author, environmental philosopher and early advocate of preservation of wilderness in the United States. He was the founder of the Sierra Club. According to sources, Muir petitioned the U.S. Congress for the National Park bill that was passed in 1890, establishing Yosemite as our second National Park. Do you know which was the first? (hint: also starts with a “Y”). The spiritual quality and enthusiasm toward nature expressed in his writings inspired readers, including presidents and congressmen, to take action to help preserve large nature areas. The above excerpts are from my previous post Wander a Whole Summer if You Can. How fortunate we are as a nation to be the beneficiaries of the natural world that so moved Muir to strongly advocate for the preservation of our Earth. Even though I have stepped foot in Yosemite National Park 25 times, I am still moved and awestruck at its incredible beauty! Happy birthday, John Muir, and thank you from the bottom of our nation’s collective hearts! April 22 happens to be the 2017 date to celebrate Earth Day. This post was included in Where’s My Backpack’s Travel Theme: Earth. Do you live near one of America’s 410 National Parks? To help celebrate Earth Day, take advantage of this weekend’s FREE entrance into any National Park and get back in touch with the Earth. It took me all day but I finally caught up :), so sorry I had gotten so far behind! I KNOW!! I am behind too! You’re a busy dad with an impending wedding to think about! For a time I lived in one of Scotland’s two national parks. John Muir was born in Dunbar, not far from where I now stay. There is a very active John Muir society and a long distance walk called the John Muir Way which stretches 134 miles across Scotland between Helensburgh in the west to Dunbar on the east coast . How cool is that? Thanks for sharing that! National Parks – one of the very best things this country has ever done. How noble and necessary to preserve the most extraordinary places for all time for all people at all costs. Because should they go, they can never be replaced. And that’s something that no amount of words can fix. 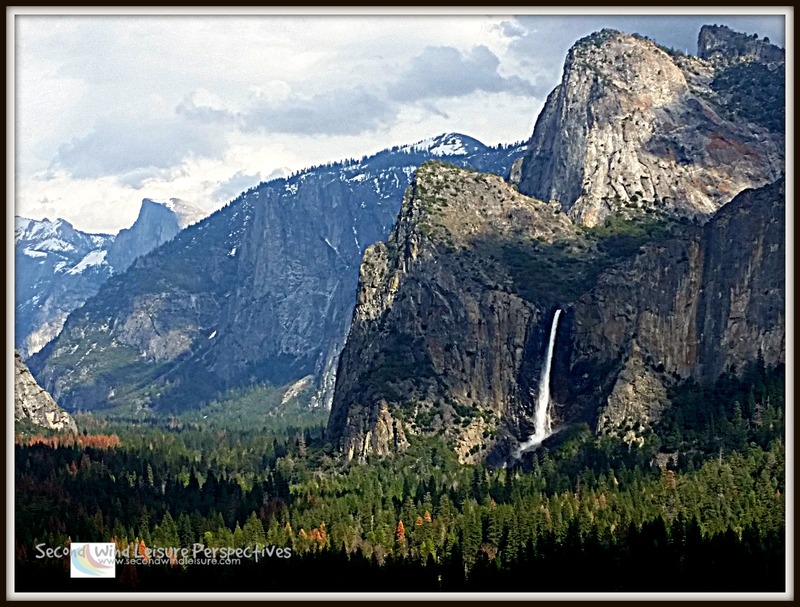 Thanks, Terri, for a perfect post on Earth Day! Yes, I live about an hour from Acadia National Park on Mt Desert Island, Maine. It is gorgeous and I try to get there for a visit a few times every year. It is wonderful to have these areas preserved for our enjoyment. I always thought about Teddy Roosevelt when I thought of national parks and must admit I did not know about John Muir. I’ve heard of Acadia, looks incredible! Happy Earth Day, Terri. We should never forget (or let our government forget) the importance of caring for our earth. Happy Earth day to you, Skip. Thanks for sharing my post. You and your wonderful photos contribute to our appreciation of Earth’s bounty! I’ve been to several of our national parks and each one is spectacular! A great big thank you to John Muir and President Roosevelt. Thanks, Marje! Back at ya! Thank you, Toni, I hope you can see it someday! Happy birthday to John Muir, and happy Earth Day to all of us! Visit a national park, march in support of science, or just get out and enjoy nature’s gifts. I’m enjoying nature at the Sacramento delta this weekend! Earth Day. Important. Thanks for the reminder. And his impact, to this day, continues to be so important. Thank you for sharing this important post, Terri. My husband and I regularly spend time in nature, whether it be a national park or a local hiking trail. We are grateful to all who have fought to preserve this wildlife. Yep, we live about 30 minutes from Mammoth Cave National Park, and we are going tomorrow. The NP system is a treasure, and Muir was definitely the driving force behind it. We visit as many as possible, and have had our boys take the Junior Ranger tests at each we’ve been to. Up to 9 now, plus various National Forests and Seashores. They’re the best. That is so great to hear! Enjoy your free weekend! Wonderful tribute to a great man. I wish I could gave been alive then and had a chance to meet him. Thank you! Wouldn’t that have been amazing? It would have been great! They just don’t make people like that anymore. That scenery looks very familiar! 🙂 The first US NP must be Yellowstone. 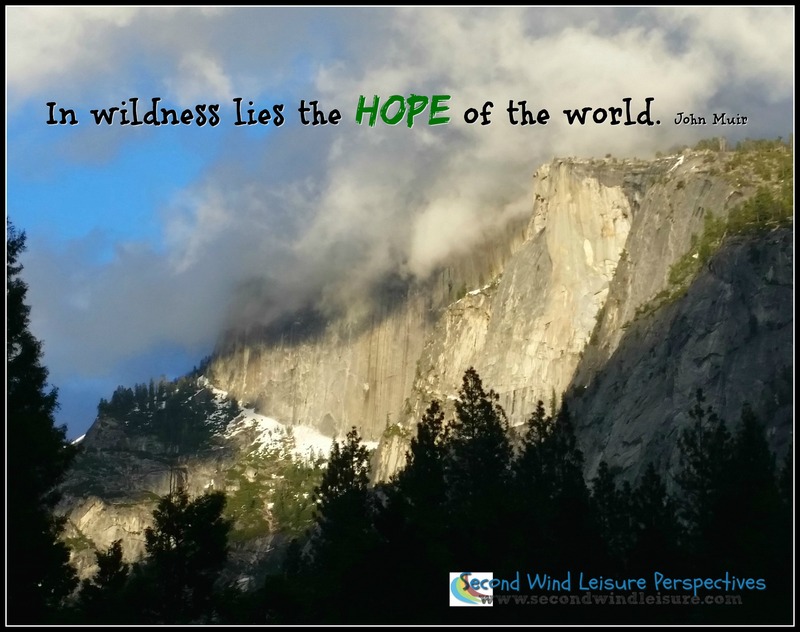 Gratitude to John Muir and president Roosevelt for protecting the wilderness. Happy Earth Day!! I’m glad it looks familiar to you!! But photos don’t do it justice until you are just standing there surrounded by all that earth!